Clocking in and out for the shift is easy with Sling - no external devices needed! 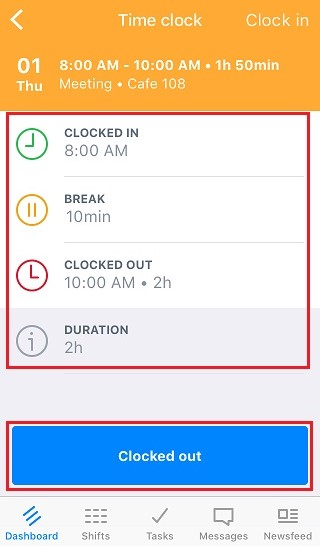 Employees can clock in and out for their shifts right from their Sling accounts. 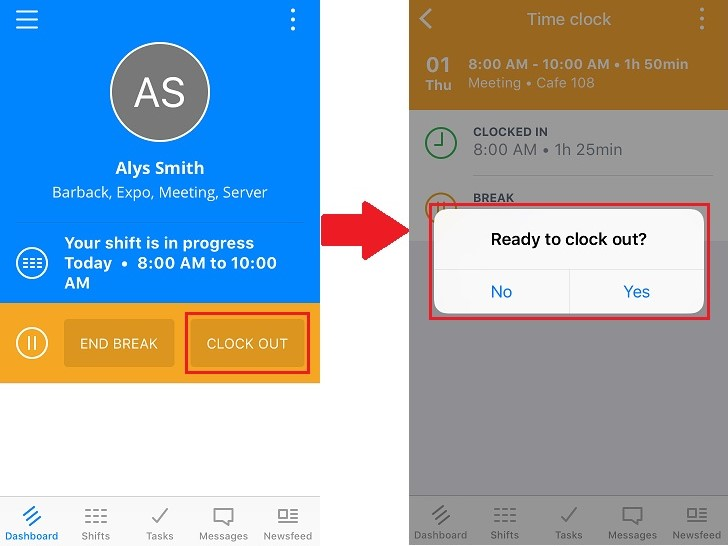 When scheduled for a shift, employees will see the clock in option from their Dashboard. 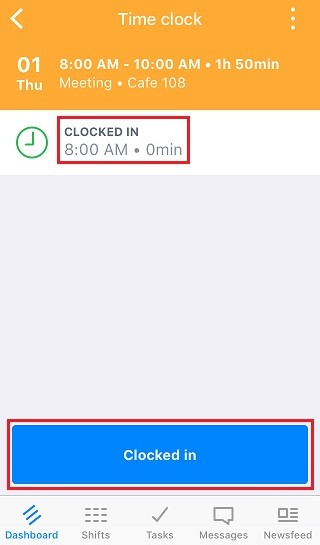 When you tap the Clock in button, you'll be asked to confirm the action, so don't worry about accidentally clocking in before you're ready. 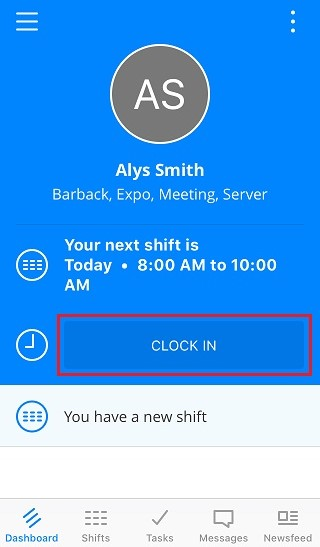 You'll get confirmation that you are clocked in and the time you started your shift will show. 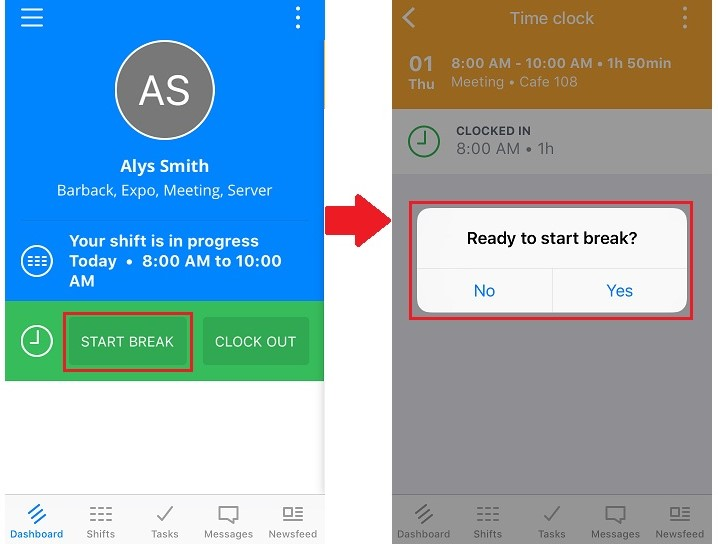 You will also see that your shift is in progress from the Dashboard along with the options to start a break (if a break was scheduled into your shift) or clock out. Starting your break is easy. Just tap the Start break button and confirm on the next screen. You'll know you're on break by the buttons on your Dashboard and the change in color to yellow. When you're ready to end your break, just tap End break and confirm on the next page. 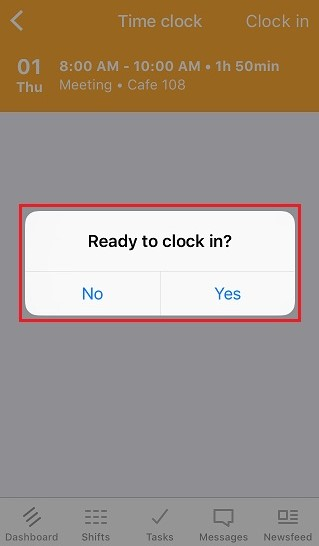 When you're ready to clock out, just tap the Clock out button on the Dashboard, and confirm it on the next screen. 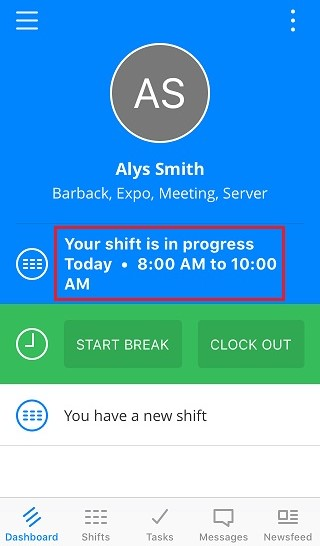 After you've clocked out, you'll see a confirmation message and a summary of your shift.